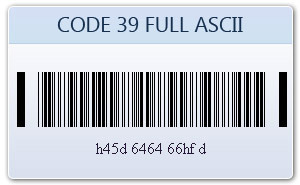 Code 39 (also known as Alpha39, Code 3 of 9, Code 3/9, Type 39, USS Code 39, or USD-3) barcode symbology supports only 43 characters. 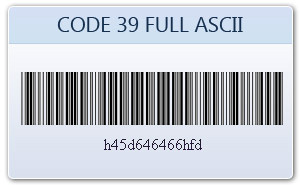 If you wish to encode other ASCII characters then 'Extended Code 39' (also known as Code 39 Full ASCII) must be used. 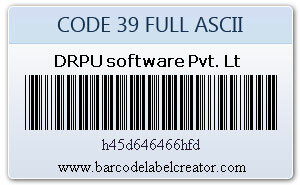 Using Barcode label creator software you can make code 39 barcodes labels and tags using 1D barcode symbologies.